As of September 1, Elizabeth Silkes (Executive Director of the International Coalition of Sites of Conscience) and Elazar Barkan (Director of the Institute for the Study of Human Rights at Columbia University) have announced that their respective organizations, will lead the Guantánamo Public Memory Project. 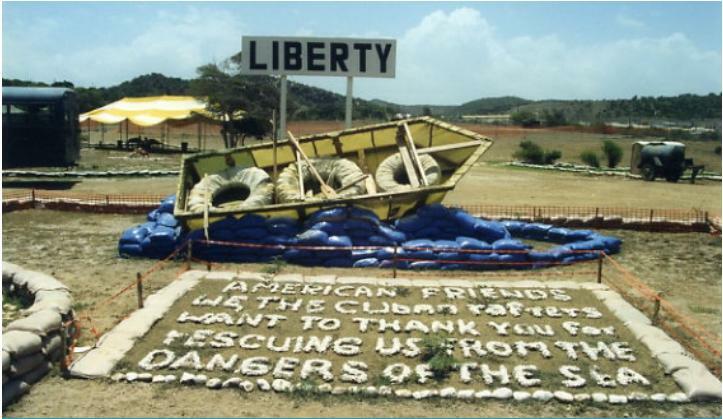 The Coalition first launched the Guantánamo Public Memory Project in 2009. They knew that building a public memory of this site’s complex history would require a multi-dimensional approach with the collaboration and involvement of many different stakeholders including scholars and practitioners. Silkes and Barkan invite those whom have been integral throughout the development of this project to continue to share their time, resources and knowledge, and stay involved by emailing Liz Sevcenko and the project team at guantanamo@columbia.edu. Just released, here is an excellent compendium of insights from experts working in memory institutions around the world regarding their current practices relating to larger societal issues. Traditionally museums have been established on the basis of collections. However, some of today’s most challenging and dynamic museums are those founded on the basis of ideas. Their themes may span human rights, social inclusion, peace, war, health, gender, climate change, etc. Their size, budget, scope and ambitions may differ, but they are all driven and committed in a way which tends to set them apart. 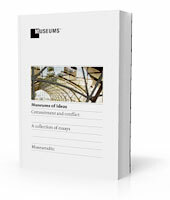 Museums of Ideas: Commitment and Conflict provides a unique insight into the operation of these committed, pioneering institutions, highlighting what can be learned from their experiences – and applied to benefit the broader museum community and its users. The LA Times posted a brief article today regarding a custody battle ensuing between Iraqis, Israelis, and Americans. I suppose this story is slightly topical given last week’s WikiLeaks news and consequently has put pressure on involved parties to find a resolution. 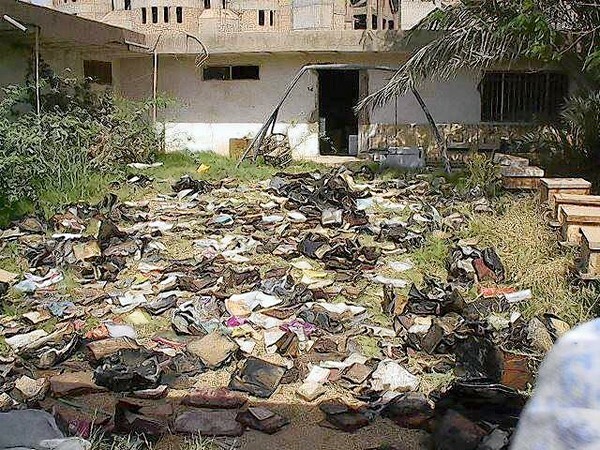 The conflict involves rabbinical texts in Iraq seized in 2003 by U.S. forces which have been housed by the U.S. in Washington under the custody of the National Archives and Records Administration (NARA). The question of the rightful owners of the books and documents have arose and with it, calls for replevin. Arguments of cultural heritage have been used by Iraqis claiming Judaism as part of Iraq’s history against those members of the Iraqi Diaspora who refuse to allow a piece of their heritage to be held in the archives of a war-torn country. Despite the fact that the cultural and historical value of the unique material to the Iraqis and diasporic community are not an issue, these are valid points with precedents . There are countless examples in the museum world where the politics behind situations involving the spoils of war can ultimately factor into the decisions made. From a archival perspective, the fact remains that these materials were found wet in a basement and rescued from this less-than-ideal state by using common conservation techniques. The reality has been that Iraq does not yet have the stable infrastructure or capacity to properly house the material, never mind executing conservation techniques when necessary. NARA is suited to co-operate with and assist the other parties in forming a reasonable solution (NARA has been developing a digital preservation strategy for their archives and records for sometime). Ideally the long-term preservation and conservation of these materials should not be left to the wayside but should play a pivotal part in the ongoing negotiations. Nevertheless, the heated political nature of this debate is surely driving the negotiations. I’ll continue to follow this story as it happens. The Canadian Museum for Human Rights (CMHR) and the Library & Archives Canada (LAC) signed a memorandum of understanding yesterday in Ottawa. The partnership expects to increase opportunities for visitors and scholars alike to develop research initiatives, promote dialogue, and enhance access to Canada’s human rights history. I have not located a copy of the memorandum and the details of exactly which LAC collections or resources will be loaned out to the CMHR remain to be determined, but I am sure we will see more news out of this partnership agreement in the coming weeks. There are exciting career opportunities at Canada’s newest national museum for archivists currently looking for employ! This announcement was posted by HURIDOCS, one of the non-profits I follow regularly which provide other human rights advocacy organizations with current resources for optimizing their information technologies and documentation systems. HURIDOCS is advertising career opportunities at Canada’s newest national museum, the Canadian Museum for Human Rights. The new museum is located in Winnipeg, Manitoba, where many jobs are springing up in Canada. The museum itself is still in construction with the projected building completion year set at 2012. It seems that the museum will likely recruit those with a niche expertise in the human rights and information organization market.